TATA NANO, the people's car, met an abrupt end after 10 years of its existence. 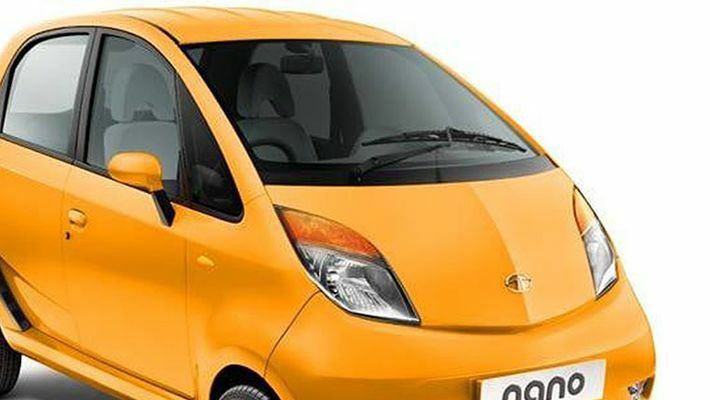 The dreams of people wanting to own a car for an affordable price came true with the invent of TATA NANO. But it didn't take much time to shift gears from entry to exit, as increasing number of cases saw NANO burning into flames. Perhaps, this is where the downfall of NANO began. Much has changed in these 10 years and in reality only 1 unit of NANO was manufactured in June this year against 275 units manufactured last year. According to reports, even the number of exports is disappointing as 25 cars were exported in June last year. But after a year, the number of exports stand at zero literally. Surprisingly, the trends reportedly show that there was an upsurge of 34% in the purchase of motorbikes, SUVs and other cars in June. The faulty features like catching fire and low safety were a disappointment for many people, who started gradually drifted away from buying the car. Reports suggest that this problem could not be set right with corrections, NANO couldn't be sold at that low a price. High price would make NANO compete with cars of any other brands with a starting range of Rs 4 lakhs (average) and will no longer be people's car. Thus with depressing numbers, the manufacturers took a decision to say good bye to TATA NANO. In fact, it looks like the manufacturers were considering this move for a long time now. The official Twitter account of NANO was not updated from 31 August 2017.